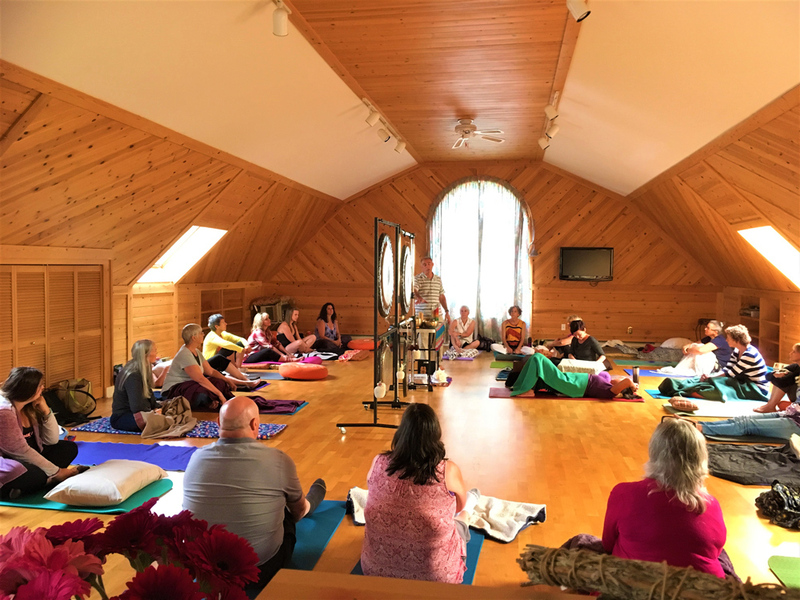 Paul is back to offer his ever popular Gong Bath Meditation! Are you seeking harmony, energy, balance, and deep inner peace? For many people, stress has become a way of life. When we are stressed, our bodies release hormones which can leave us feeling anxious and unsettled. Long-term stress causes a range of ailments, not only lessening the quality of our lives but reduces the body’s ability to heal and fight disease. In a seated or reclining position, recipients are bathed in the powerful vibrations of the gong. Affecting us at the deepest cellular levels, the mind is stilled, tensions released, blockages cleared, and the body re-energized. The secret of the gong is its tremendous potential for healing and rejuvenation. Because the gong covers the full spectrum of sound it vibrates all the cells, bones and organs, some more than others, depending upon the pitch of the gong. You feel an influx of energy coming from it into your body as well as hear it. Sound and vibration help facilitate a deep sense of peace, release tension and blocked energy, and balance the energy centers in the body. WHAT TO BRING: yoga mat or something comfortable to lay on, pillow and blanket.